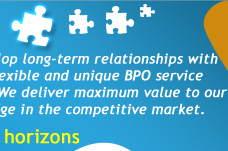 Binary's call center wing comprises of expert and experienced professionals with customer satisfaction as their forte. 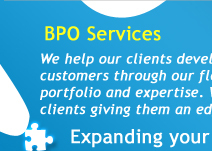 They strategically combine innovation with their experience to provide complete solutions to the clients. Using our proven customisable project management framework, offsourcing, clients have realised the benefits of cost effective, flawless, and timely project execution. This framework covers the complete client servicing life cycle (CSLC) starting from lead generation to any kind of support. The team has successfully generated its services for delivering various offshore projects with 100% satisfactory results. Binary's experience comes handy while ensuring a full understanding of your requirements and executing accordingly to enhance your business. We offer a vast range of services catering to clients from different industries.